Mobile devices such as tablets and smartphones offer a convenient way to access internet on the go. You can access Wi-Fi from hotels, public transport and cafes and enjoy everything that internet has to offer including your favourite social media websites and games. However, the risk that the information that you share is accessed by eavesdroppers, increases while you are connected to a Wi-Fi spot. Everything from your browsing history, downloads and email messages could be intercepted by governmental agencies that aim to monitor online activity or large companies that aim to get valuable information that they can use on their own commercial benefit. Of course, online fraudsters are the number one threat to lurk around public hotspots to get a hold on your details. This is why, using a VPN is crucial if you want to keep your privacy protected an ensure that your data is not compromised and that you can enjoy internet without concerns or restrictions. As Android holds a large portion of the mobile devices market, VPN services aim to support this platform effectively. There are many VPN providers available but to make sure that you make the most of the convenience of using internet on your smartphone or tablet, we have selected the best options to use with your Android device. These providers stand out for their security, their privacy policies that keep your anonymity, their wide selection of servers and because they offer a great value for money and a reliable customer service. 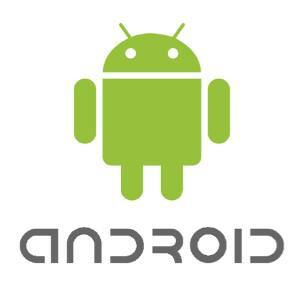 Each of these providers offer custom mobile VPN Android apps to run any device you may have. These are the best VPN services for Android. This VPN provider makes it to the list once again thanks to its impressive performance with Android devices. One of the main advantages of using ExpressVPN is that it does not keep logs, meaning that the privacy of your online activity and your conversations is safe. ExpressVPN also offers a great speed, remarkable customer support and an Android client that is easy to set up and that works consistently good. ExpressVPN is not a cheap option but the great set of features, high-quality customer service and advanced technology justify the price. With an outstanding speed and a strong encryption service, VyprVPN is another great option for Android. It comes supported by Golden Frog, the same company behind Giganews and that are recognized for their commitment to internet freedom. One of the main highlights of VyprVPN is its very own Chameleon technology, which is available not only for desktops but also compatible with Android. Chameleon can avoid geo-location restrictions effectively, while keeping your data protected with OpenVPN 256-bit encryption. Even though VyprVPN keeps some logs, these are only related to the time and duration of the connection and not to the activity. This provider gets top marks when it comes to speed and skilled customer support. They also manage their own extensive network of servers that offers you many options to change your location. The service offers features that will suit those with advanced requirements and the experience of their team is shown in every aspect, as they strive to bring innovation and higher technology. However, their downside is that their no logging policy has been questioned and they do not seem to effectively guard your privacy. Their process are also higher than other options, which will also put off some users or trying them out. However, if security and speed are the most important aspects for you, they are still a good option. Ease of use and unique features such as split tunnelling are some of the aspects that put PureVPN above many competitors. Split tunnelling allows you to use an IP address for certain websites and a different connection for others. This means that you can access online banking without issues and use a different IP for other applications. An excellent customer support is another benefit of using PureVPN and experienced users will find that their service suits their technical requirements. Their fast service, flexibility and security can be enjoyed on your Android device, wherever you are. The fact that Private Internet Access allows to access up to three devices using the same account, means that you can enjoy the benefit of using a VPN when you are at home or when you are in a train accessing public Wi-Fi from your smartphone or tablet. With Private Internet Access, you can save money and ensure that your information is protected whenever you connect to internet. Their speed is satisfactory and even though their service may not be easy to use for new users, Private Internet Access offers an excellent customer support that will be able to help you with any queries.